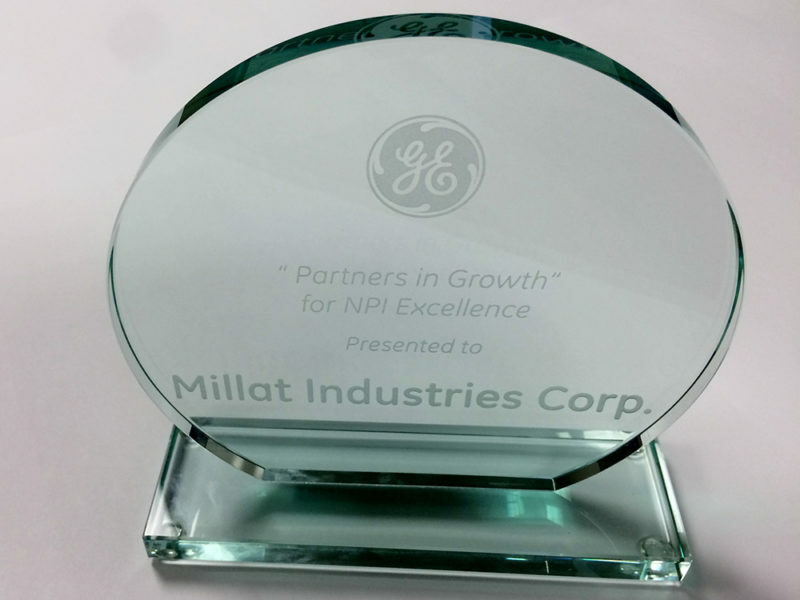 Millat Industries was recognized at the 2014 GE Aviation C-Parts Supplier Symposium for New Part Introduction (NPI) Excellence regarding recent work with our customer Unison Industries. NPI Excellence in the Aerospace Industry requires Engineering, Quality, and Production departments to work directly with the customer to support the short delivery requirements. The Millat Industries team was able to accomplish this by using 3D part data to quickly design tooling, program CNC machine tools, and program quality inspection processes on a complex aluminum cast part for GE Aviation’s Leap-1B engine. Millat Industries looks forward to a promising future in aerospace manufacturing. Learn more about GE Aviation’s Leap 1-B engine here.